Peach season will be end soon ! After enjoying lunch at Okeisushi, we went to Monzen-nakacho by metro. You know we didn’t have dessert at Okeisushi! 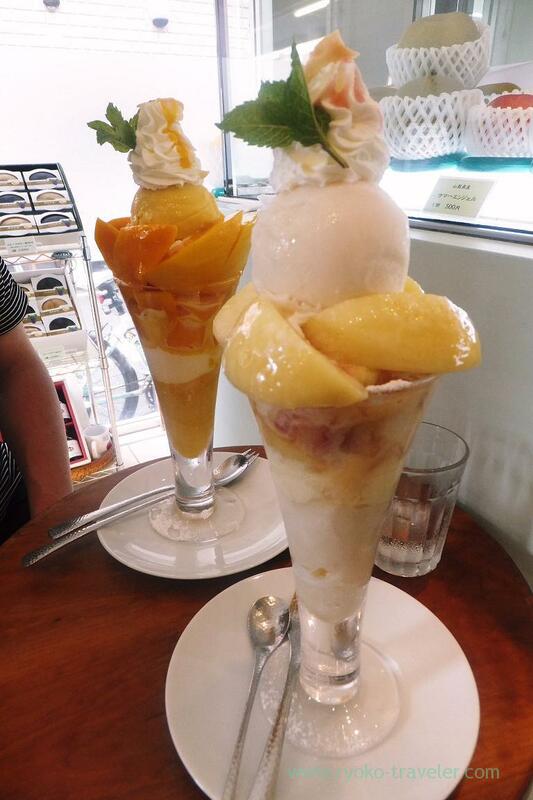 So, we went to Fruits Cafe Frutas for eating peach parfait ! So, anyway, we had coffee to kill time. We went toward in front of Monzen-nakacho station. 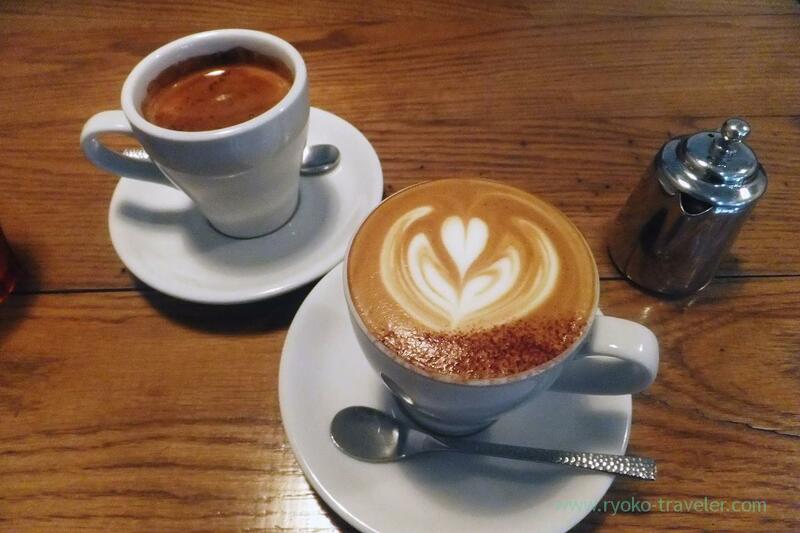 We know there is good cafe along the approach to Tomioka Hachimangu shrine that is named Monz Cafe. Then we got out of the Monz Cafe 15 minutes before the opening time of Frutas. When we got to the shop, there were already some people there. And as soon as we were seated, there were many people gathering in front of the shop and waiting ! Oh my. But, almost all people there left after a while. Because,,, yes, Frutas takes much time to serve. 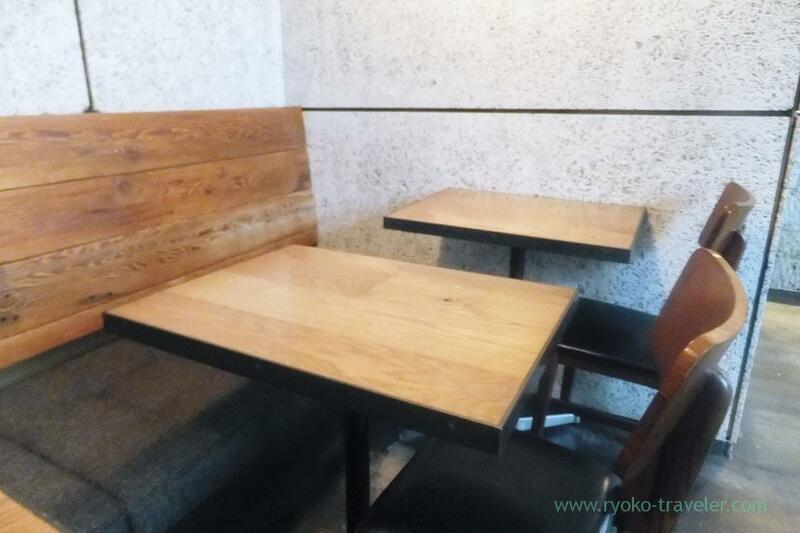 20 minutes after the opening time, no foods were served yet. So, everyone gave up waiting in the rain. We were first comer. And our foods were finally served 25 minutes after the opening time. 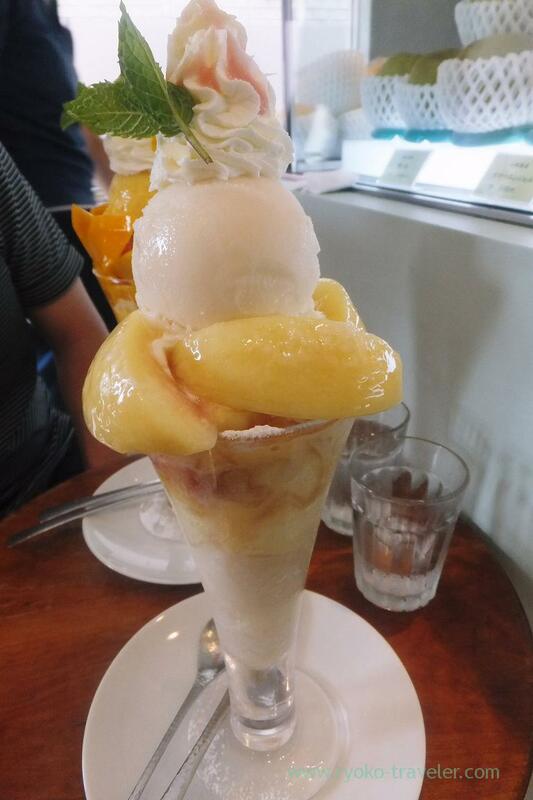 My order was, needless to say, peach parfait (桃パフェ, 2160 yen) ! 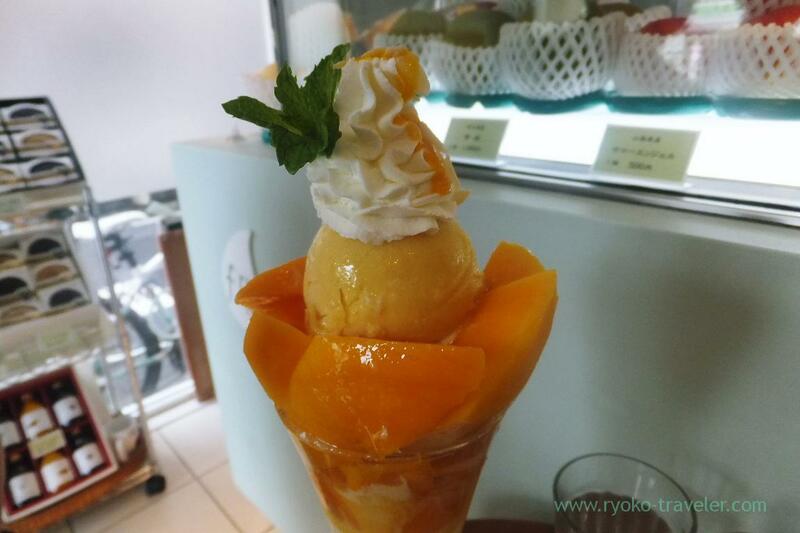 That day’s peach is from Yamanashi ! I had to deal with it so carefully, or the slices of fruits drop ! So juicy, so sweet. Incredible delicous peach ! The sorbet was good, too. 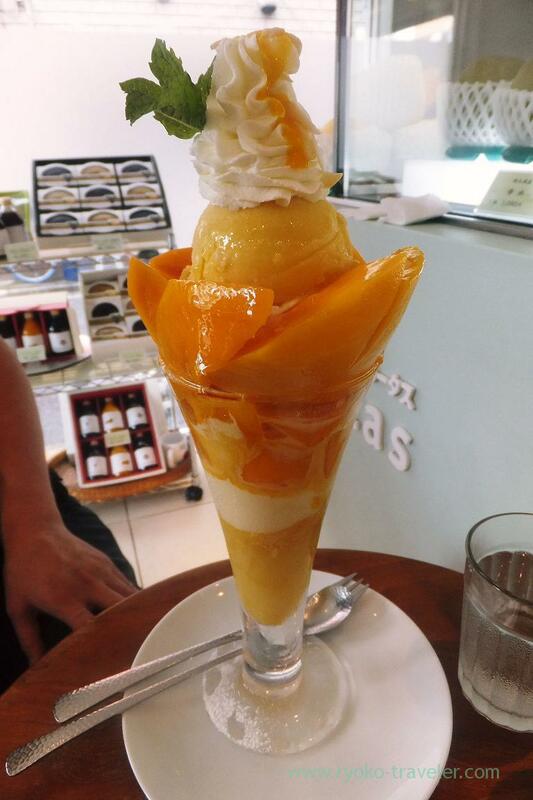 His order was mango parfait (マンゴーパフェ, 2300 yen). The mango was all the way from Mexico ! Fully ripened mango had awesome color ! The fork stuck the fruits to so smoothly. This year, I could complete three major peach parfaits ! I’m fully satisfied and welcome Autumn !